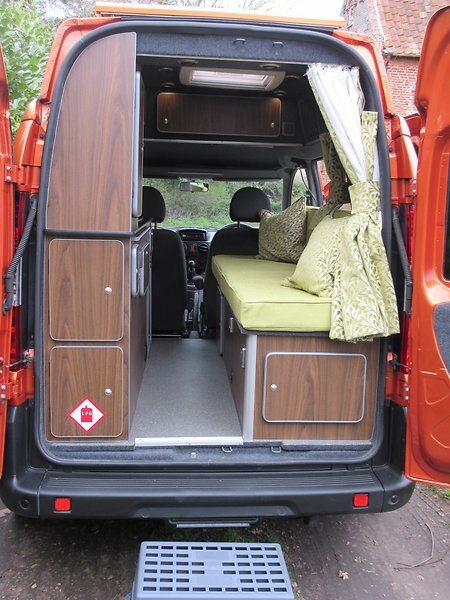 We are a small Campervan and Motorhome conversion business specialising in Fiat Doblo motorhome conversions suitable for 1 or two people and VW T5 campervan Conversions. Based nr Beccles Suffolk/ Norfolk. We also sell & fit high efficiency 'all weather charging' pv solar panels to all types of leisure vehicle. Phone us on 01502 710621 regarding your motorhome solar panel needs. Julian has over 30 years experience working at the highest standards with motorhomes, VW T5 Campervans & other vehicles. 17 of those were served with a local VW dealership. We Specialise in VW T5 Campervans & theFiat Doblo motorhome Conversions but also work with all other makes. Our quality of workmanship being second to none. LWB 2011 VW T5 130BHP genuine 5,900mls with new high specification campervan conversion £42995 including a private plate. 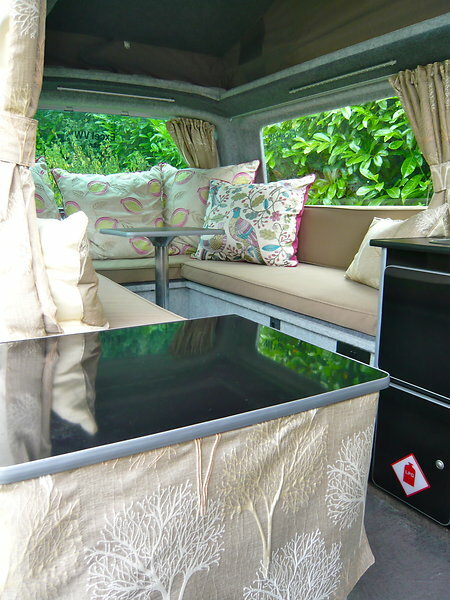 Fiat doblo motorhome for sale . Only 1 vehicle available awaiting conversion. 12v pv solar panels manufactured specifically for Motorhomes, Caravans, Boats & leisure vehicles. We offer a solar panel fitting service if you are able to leave your vehicle with us or we sell comprehensive solar panel kits for a DIY fit. 60W or 90W PV Portable foldup solar panels are ideal if you have more than 1 vehicle or where you don't want a permanent fit. Portable fold up solar panels can be used on cars, plant & motorbikes as well as motorhomes or caravans, basically anything which has a 12v battery. The PV photovoltaic solar panels we sell are high quality premium efficiency monocrystalline modules which work in ALL daylight conditions not just in sun & come with a charge controller to prevent reverse charge damaging your battery. Our panels have a 20yr output & 10yr frame warranty. If you are interested in Motorhome solar Panel kits don't be afraid to give us a call. Click here to visit our Solar Panel page. If your leisure battery goes flat after 2-3 days a 12v solar panel could be the answer. New stock being introduced. We have a range of quality low watt 12v Led lights , Switched directional downlighters, 12v sigma lights, C-line electrical sockets, face plates, switches & conversion accessories ideal for boats, caravans, campervans & motorhomes. Click here to view our 12v lighting & socket range.